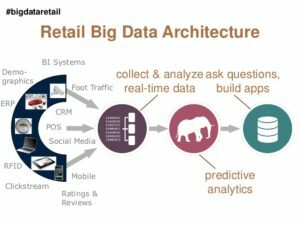 According to IBM 62% of retailers report that the use of big data and analytics is creating a competitive advantage for their businesses. Therefore, if you are not currently using a modern, sophisticated and user friendly POS system, then you are missing out on a lot. After years of rapid transformation in POS technologies, retailers are more than ever before able to sell their wares; at the right price, at the right time and to the right customer almost every single time. Through constant improvement of technologies including; wireless, NFC, mobile devices, cloud computing, payment systems like Apple pay, Google Wallet and PayPal, retailers are able to better interact with their customers. This has led to a huge upsurge in the amount of data that flows between customers and retailers or vendors. Information including who is buying, why they are buying, what they prefer to buy, when they buy, where they buy (both online and offline) and a whole lot of other useful data is crucial for retailers today if they want to be relevant to their customers. However, all this data in its raw form has very minimal use at best. The data needs to be gathered together in one place and then further analyzed in order for it to provide maximum utility to the retailer as soon as possible. It is now easier than ever before to have a centralized, end-to-end integrated system that allows for easier gathering of data and better yet, real-time analysis of the data. So, if you are not yet already using a modern POS system with an analytics system built-in to it, then here are some reasons why you should catch-up now. Modern POS systems are centralized, meaning that if a customer goes to a different location or branch to make a purchase, their data can still be accessed since the data ends up at central data depot. Since the data is easily collated for analysis, it is easier to gain insights that are a more complete picture of what a consumers purchasing habits actually are. In a world where customers demand personalized service and offers as well as context aware suggestions and promotions, this is invaluable information that a retailer cannot do without. All this is of course in a bid to provide the ultimate shopper experience for the customer which is a win-win scenario for retailors or vendors as well. In as much as consumers love to shop in online stores, 85% of consumers still end up at a physical store. Since modern POS systems are able to integrate online and offline data from consumers, this means that the data can be more effectively used for marketing purposes. Experimenting and analyzing offers that lead to the most profitable sales (both online and offline), as well as creating urgency through sales, deadlines and instant offers are all useful ways analysis makes marketing even better. For example, a retailer may give an instant offer to a customer who shops for shoes at a store to pick up some socks as well, in order to give more exposure to different items and influence a new future habit. Apart from the fact that data is much easier to gather from different terminals in modern POS systems, what’s more is that all this happens almost in real-time. What this means is that analysis and reports can be produced in a matter of seconds. Since retail decision makers are rarely at a desk doing the analysis of raw data by themselves, having a POS system that can do all the necessary analysis in real-time and then produce instantaneously usable results is invaluable. Having pre-built dashboards and individualized reports that can be instantly produced on mobile devices further enhances the service that can be given to consumers. Through faster and increasingly detailed analysis of raw data, fraudulent activity can be quickly monitored, detected and stemmed. Since irregular activity in POS systems is now more accurately detected and analyzed, this has had system-wide benefits including prevention of financial losses, enhanced security of customer data and so on. Through modern POS system technologies, malware is no longer treated as a single threat but rather as each of its component threats through sophisticated threat analysis. This allows better threat avoidance. In today’s consumer-empowered markets, retailers must leverage analyzed data in order to gain a holistic understanding of distribution channels and locations, customers, products, competitors, employees and their entire market. In order to do so, a pragmatic approach to utilizing all available data through analytics is essential if customers are to be satisfied, competitors edged out and bottom lines met and surpassed.